When George Preston Daniels didn’t show up at the Humboldt County Courthouse on March 24, 2016, for charges stemming from what authorities said they believed was a marijuana rip-off, he became a wanted man. But, most likely, he was already dead. The Humboldt County Sheriff’s Office confirmed today that remains found along the Eel River in May of 2016 were identified last month as belonging to Daniels. Over the spring and summer of 2016, bounty hunters from a local bail bonds office had scoured the area — even hiring a small plane at one point to search for Daniels’ vehicle — to no avail, in spite of a reward offered by his bail bondsman. 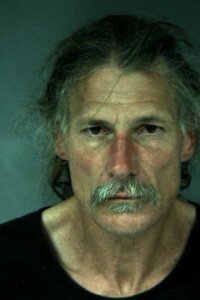 In fact, his body had been found in May of that year by a person canoeing the Eel River near Stafford. At the time, Chief Deputy Coroner Ernie Stewart said it appeared the body had been there "quite some time" and the case was being treated as a homicide. According to Samantha Karges, spokesperson for the Humboldt County Sheriff’s Office, the remains were soon shipped to a forensics lab for analysis but returned almost exactly a year later without a cause or manner of death being pinpointed. Karges said the teeth were then sent to the DNA lab for analysis and on Jan. 8 a report came back showing that the body was Daniels. Daniels had been arrested in the fall of 2015 on suspicion of being involved in a marijuana rip-off after “a large pile” of freshly harvested marijuana was “located over an embankment on Hwy 36” near McClellan Mountain by CHP deputies investigating a hit and run accident, according to a Humboldt County Sheriff’s Office press release at the time. 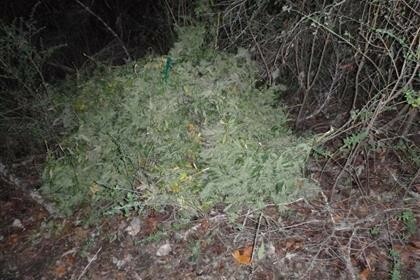 Marijuana found over an embankment of State Route 36 . Though it does not appear that anyone came forward to press charges on the alleged theft of marijuana, Daniels was facing other charges relating to the incident. He made bail but never showed up for his March 24, 2016 court date. Karges from the Humboldt County Sheriff’s Office told Redhead Blackbelt that nothing suspicious was discovered in relation to Daniels’ remains to indicate foul play. However, she asked that anyone who may have seen Daniels around the end of March of 2016, to contact the HCSO at (707) 445-7251.